Celia joined the team at the completion of season 03/04 after being disgruntled with her training program at Melbourne University. She had close ties with her former Geelong Coach Mandy Cole who recommended that she join Nick Fiedler. She joined the team with no requirement to change clubs and continued to run for Melbourne University. Eventually she came disgrunteled with Melbourne UNiversity and changed clubs to join Ringwood Athletic Club. She made her pro debut at Essendon in the Womens 100m despite being a 800m and 1500m runner. She has a close bond with some of the Geelong distance runners, such as Graham Watkins and Mark Boxer because that was her home town, and she sometimes completes training sessions in Geelong or Ballarat where her parents now live. She had dramatic improvement over 400m in season 06/07 finding winning from from a mark she previously couldn't make finals from. She is versatile and has even won bronze medals in the Victorian CAhmpionships in the 400m Hurdles and Mile. Celia suffered a bad break to a bone near her knee when hurdling in season 2009/2010 and missed the majority of the season. 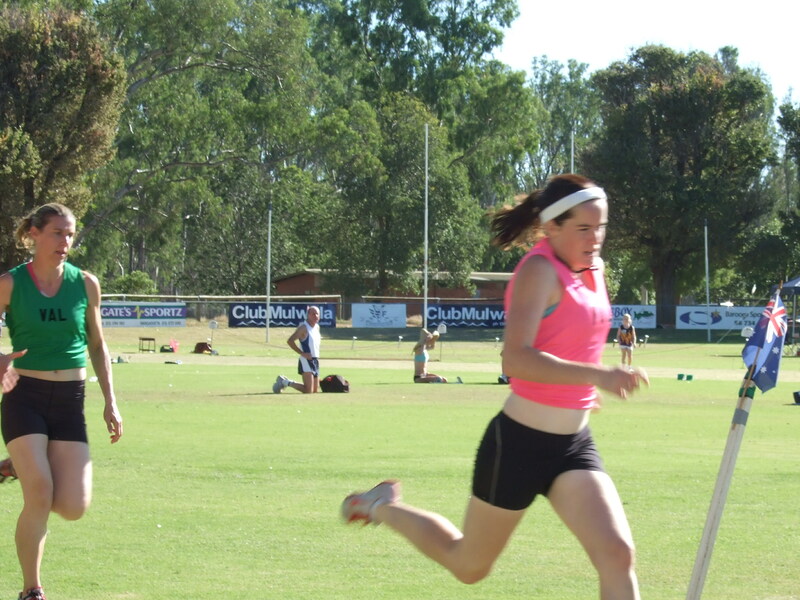 Pro Debut : Season 04/05 Essendon Womens 120m. Celia in the 2008 Womens 400m at Burramine. 3rd : Maryborough 400m Women'sWomen's, Bendigo 400m Womens. 2nd : Albury 120m Women's Gift, 2nd Trinity 300m Women's/Veterans, 2nd Stawell 1600m Women's/Veterans. 3rd : Bay Sheffield 550m Women, Devonport 1600m Women, Rye 120m Women's Gift, 3rd Stawell 800m Women's. 3rd : Rye Open 800m, Camden Consolation 400m Womens. VRTA Female Athlete of the Year. 3rd : Cranbourne Womens 400m, Casey Womens 400m, Mt.Gambier Womens 800m, Zatopek Open 400m. 2nd : Northcote 1600m Novice. 3rd : VRTA Womens 400m.